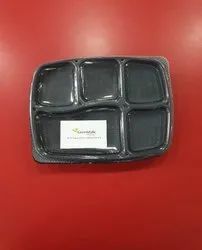 Size: L - 14.25" X W - 10" X H - 2"
With long years of experience in this domain, we are capable of trading and exporting a wide collection of Compartment Mess Tray. The potpourri of unique designs enhances your table. 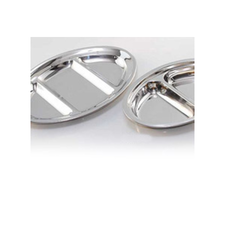 No Matter what you serve the look of your food will look distinctive in the beautiful stainless steel trays and serving platters from Mesoware. The fluted designs and the high polished finish complement everything you put on your table. The 2 in 1 Condiment Tray with Handle provided by us is available to clients in different shapes and sizes. This tray can be conveniently held using its handles. DYNASTIC/ PAV BHAJI/ OVAL BHOJAN THAL AVAILABLE IN 3 SIZES.